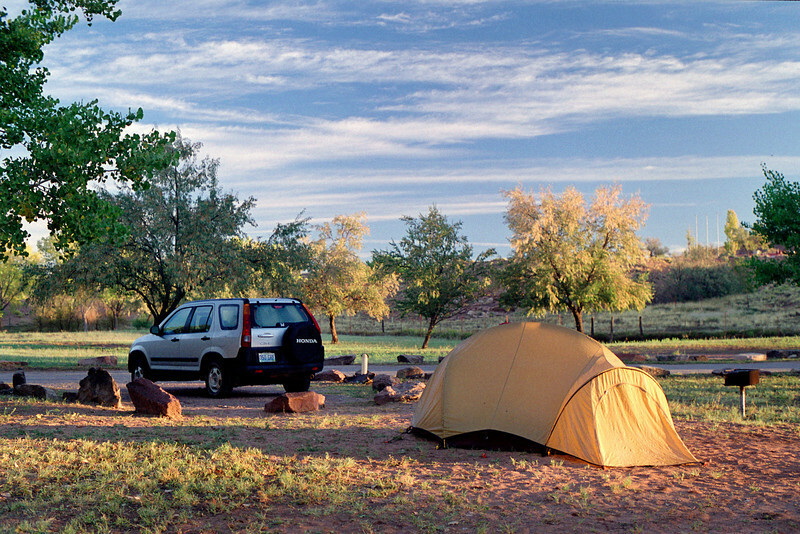 Car camping trip to Canyon de Chelly, Arizona. 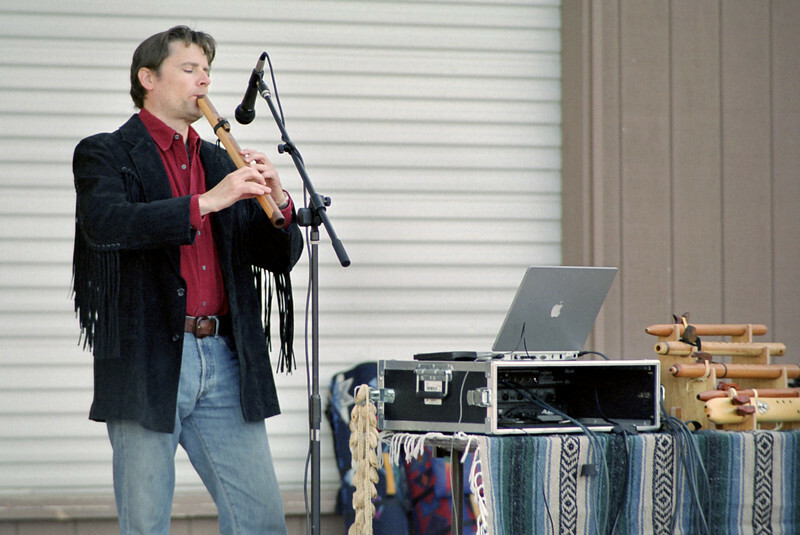 October, 2003. 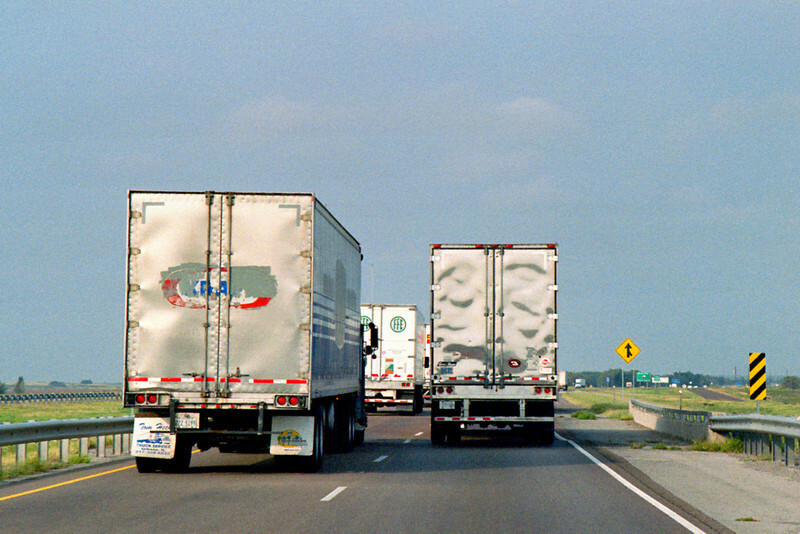 Interstate highway. Oklahoma. 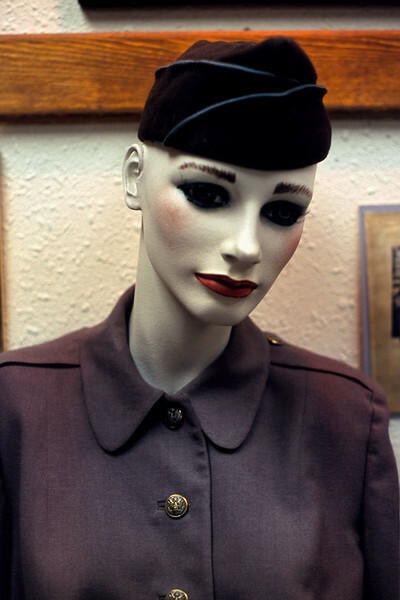 October, 2003. 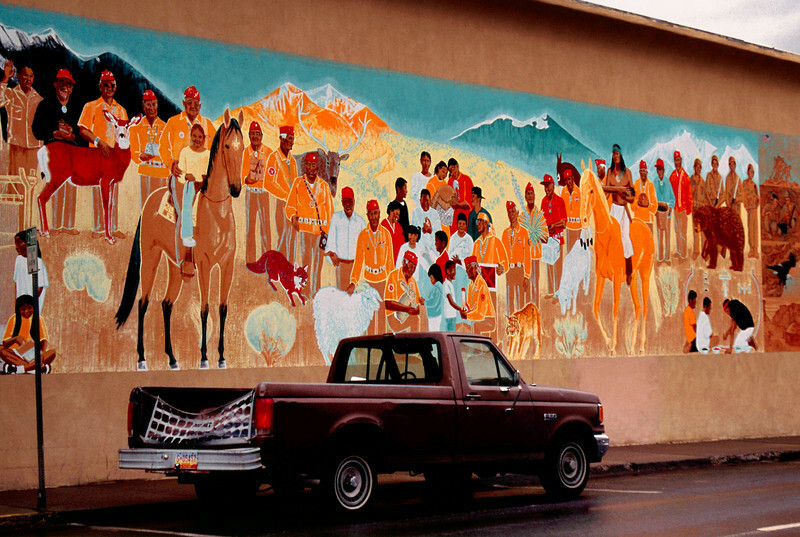 Wall painting, Gallup, New Mexico, October 2003. 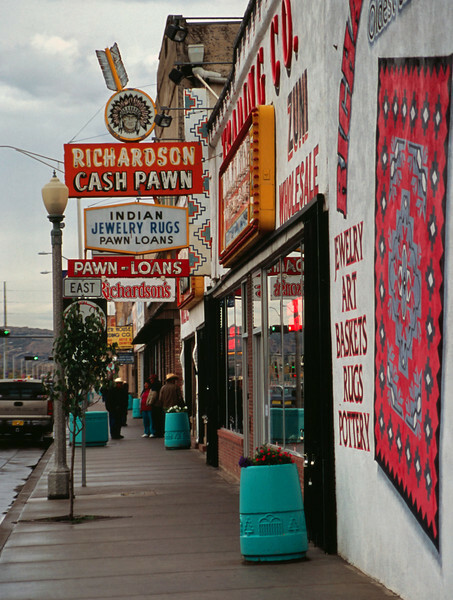 Pawn shops, Gallup, New Mexico, October, 2003. 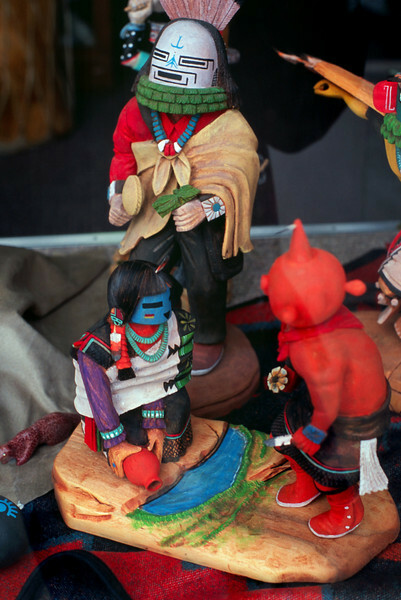 Kachinas in pawn shop window, Gallup, New Mexico, October, 2003. 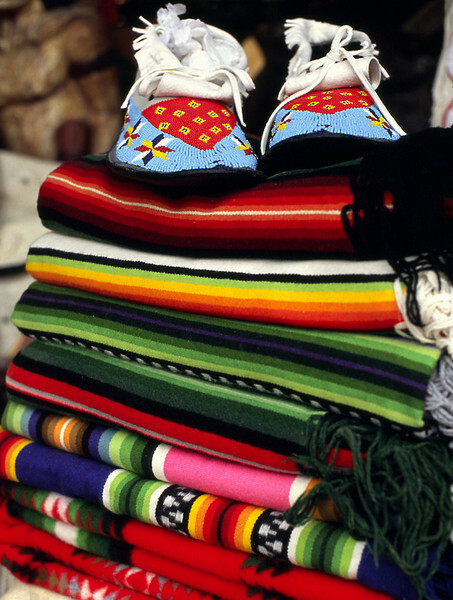 Beaded shoes and blankets, pawn shop window, Gallup, New Mexico. 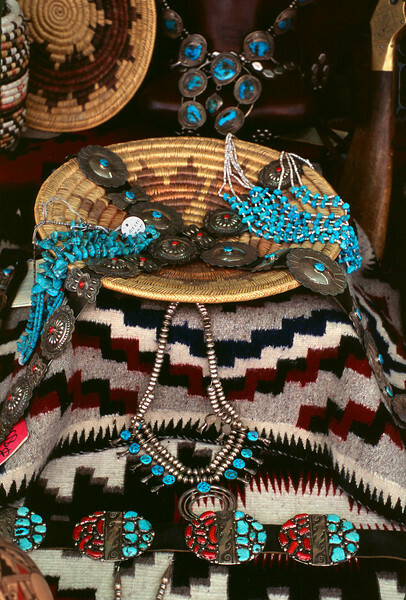 October, 2003. 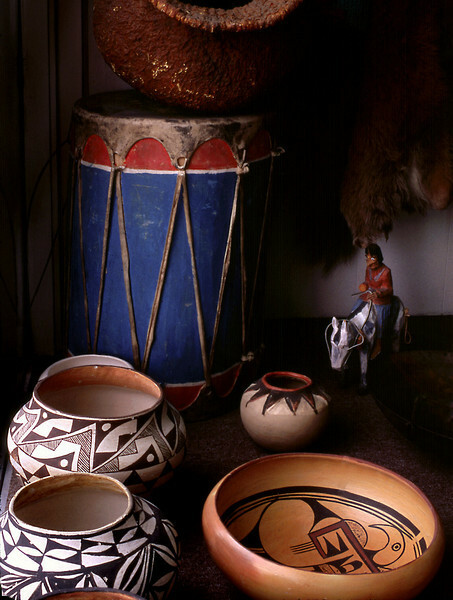 Pots and blue drum, pawn shop window, Gallup, New Mexico. 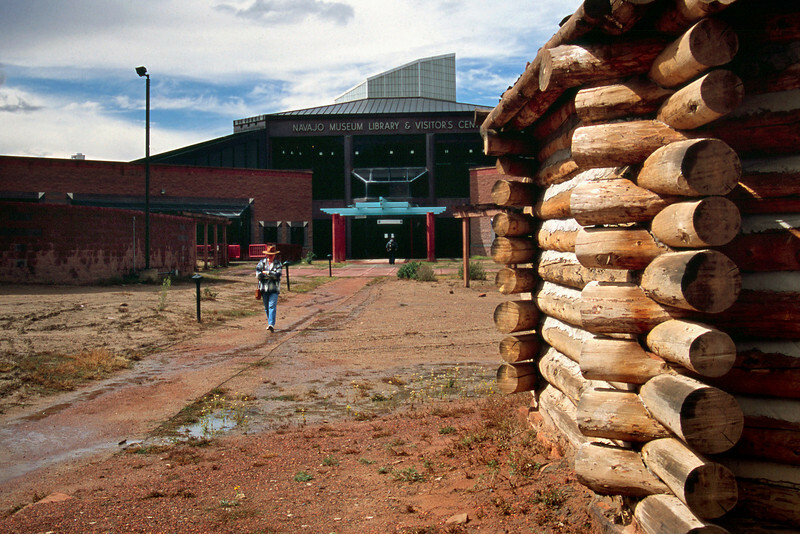 October, 2003. 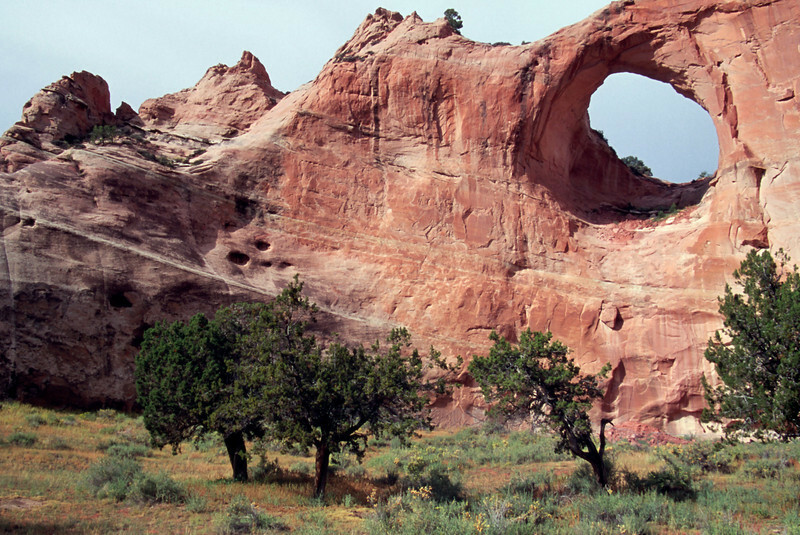 Window Rock, Arizona. October, 2003. 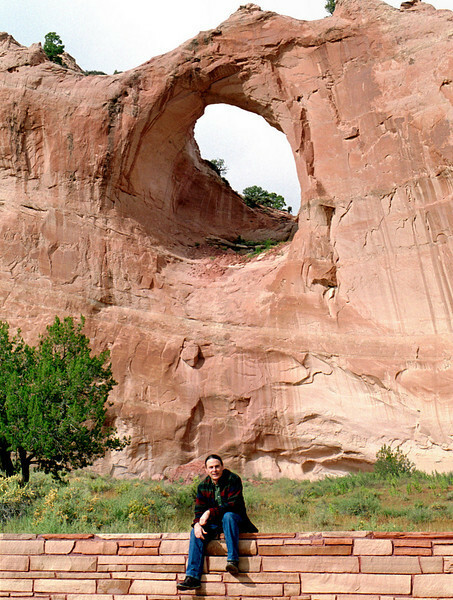 Gary, Window Rock, Arizona. 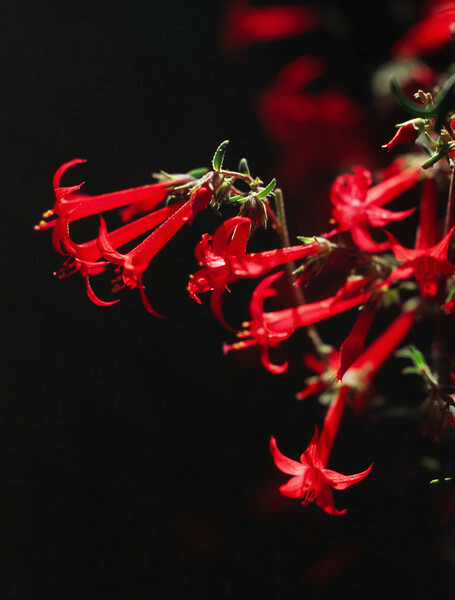 October, 2003. 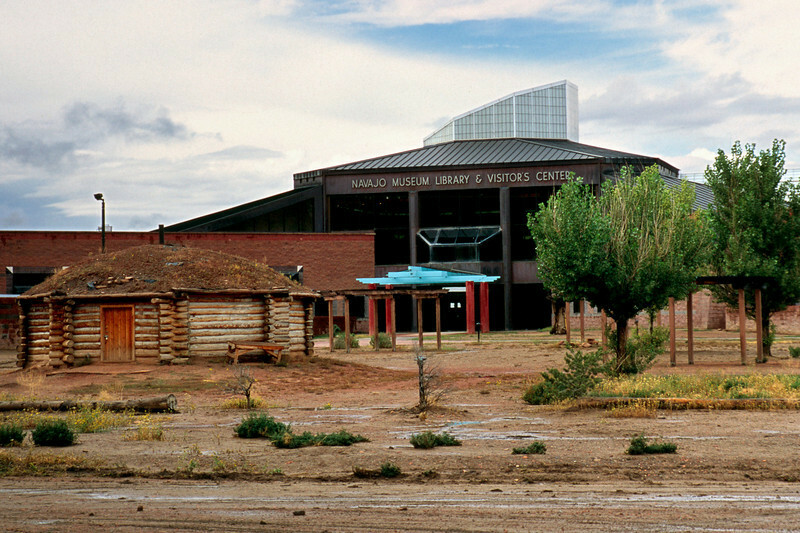 Navajo Tribal Museum near Window Rock, Arizona, October, 2003. 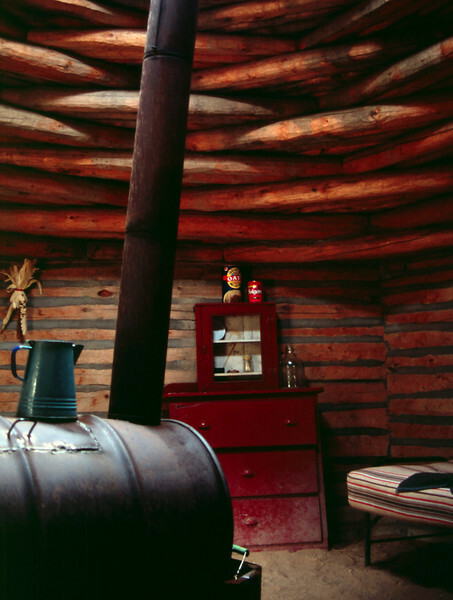 Hogan interior. 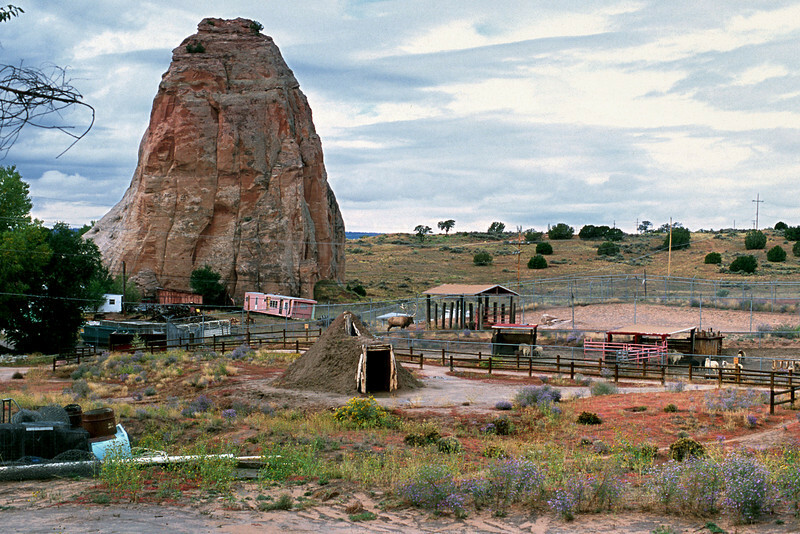 Navajo Tribal Museum, Window Rock, Arizona, October, 2003. 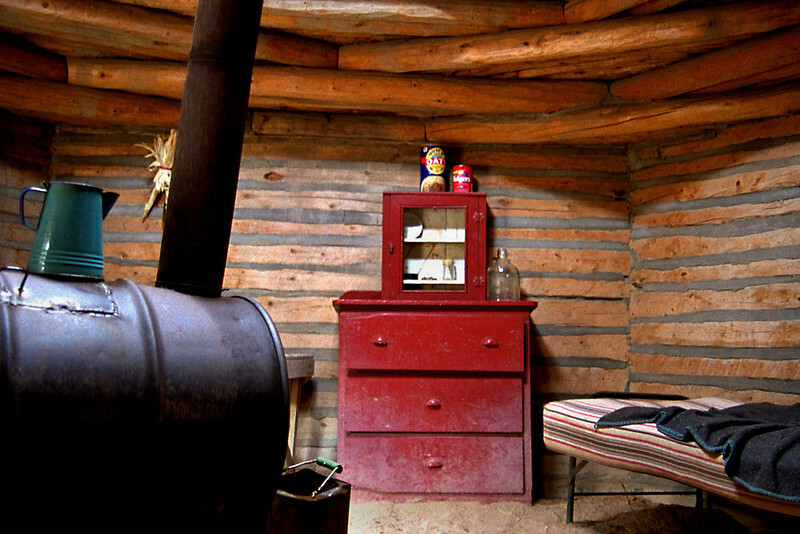 Hogan interior, Navajo Tribal Park, Window Rock, Arizona. 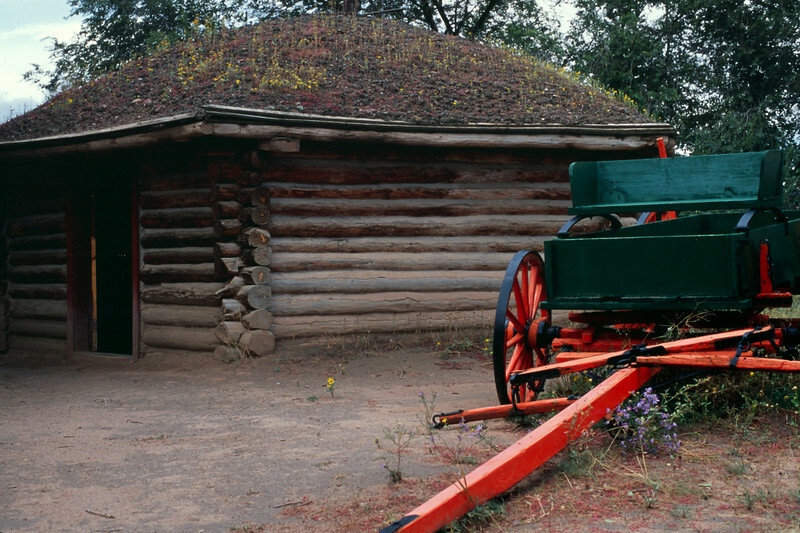 October, 2003. 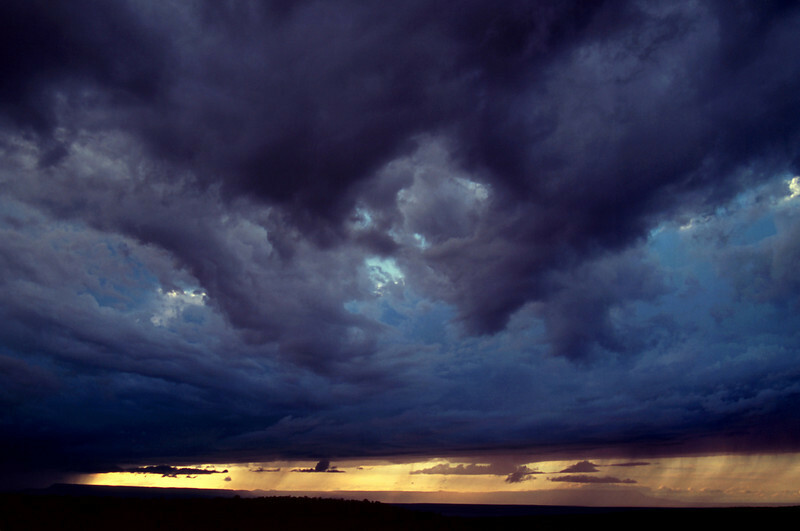 Storm clouds viewed from the rim of Canyon de Chelly, Arizona, October, 2003. 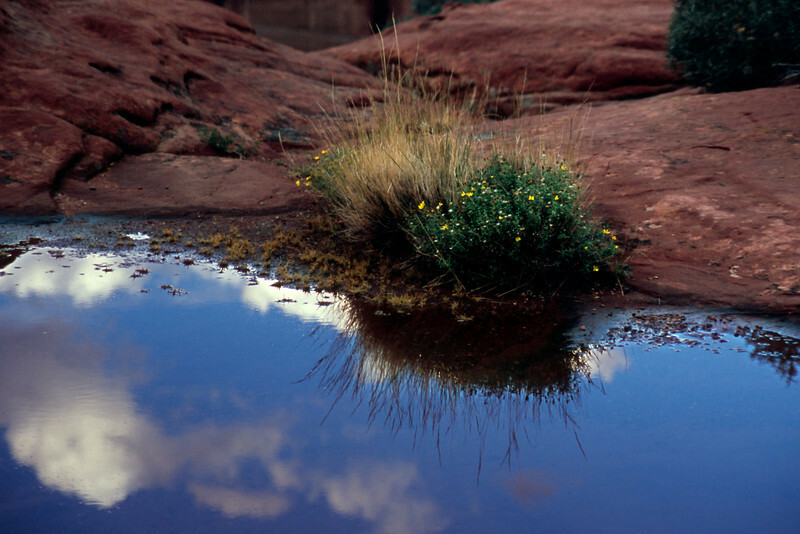 Rain pool on the rim of Canyon de Chelly, Arizona, October, 2003. 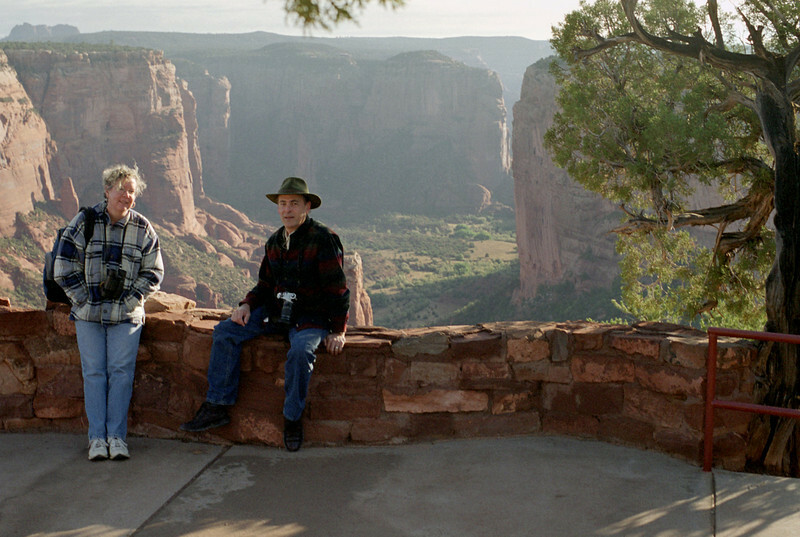 Rita and Gary on the rim of Canyon de Chelly, Arizona. October, 2003. 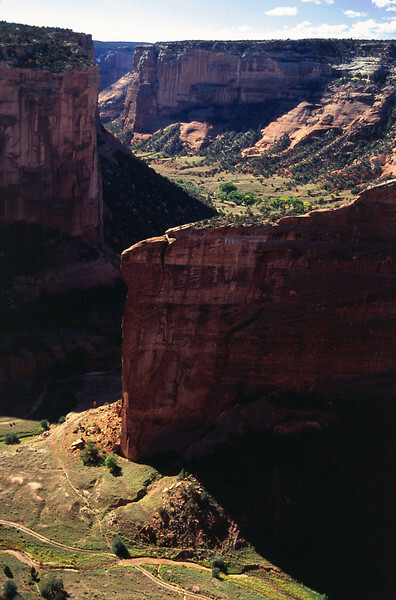 Spider Rock, viewed from the rim of Canyon de Chelly, Arizona, October, 2003. 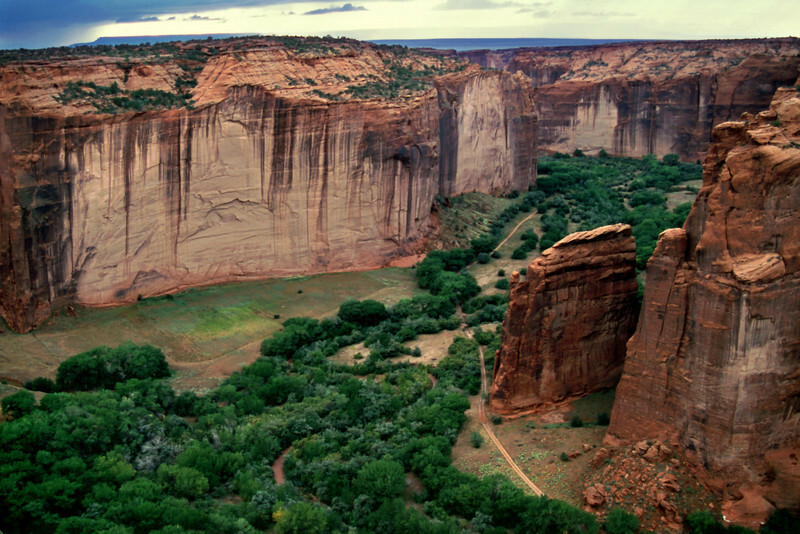 Canyon de Chelly, Arizona. 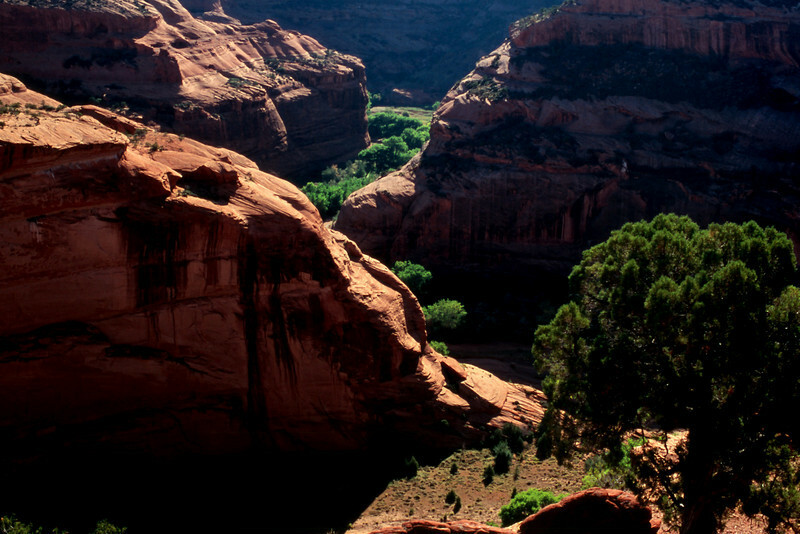 View from rim. October, 2003. 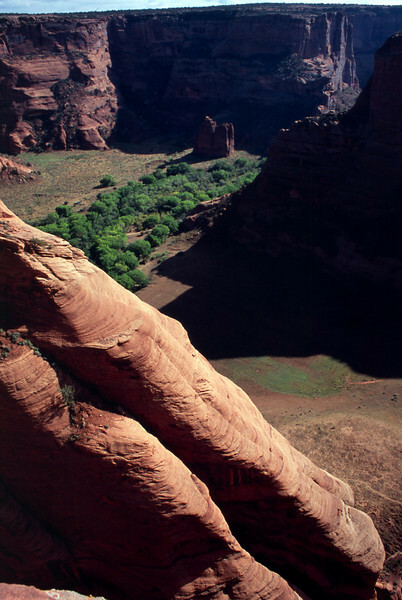 View from the rim - Canyon de Chelly, Arizona, October, 2003. 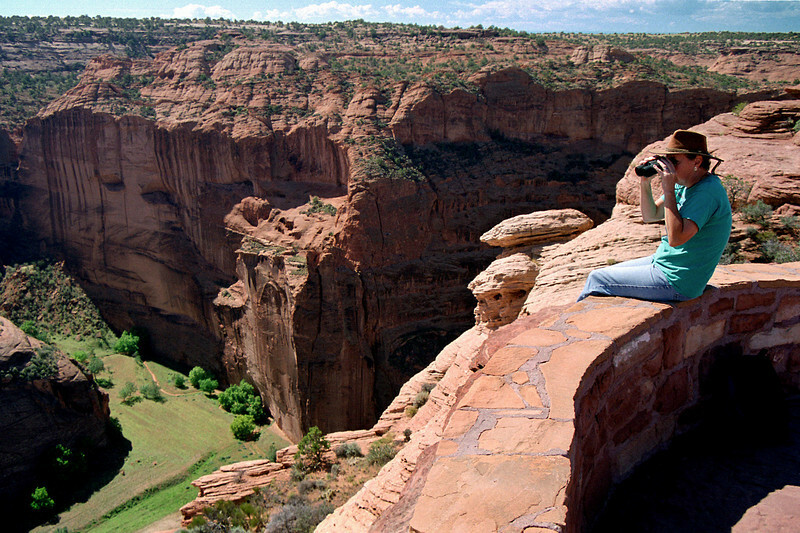 Rita on the rim of Canyon de Chelly, Arizona. October, 2003. 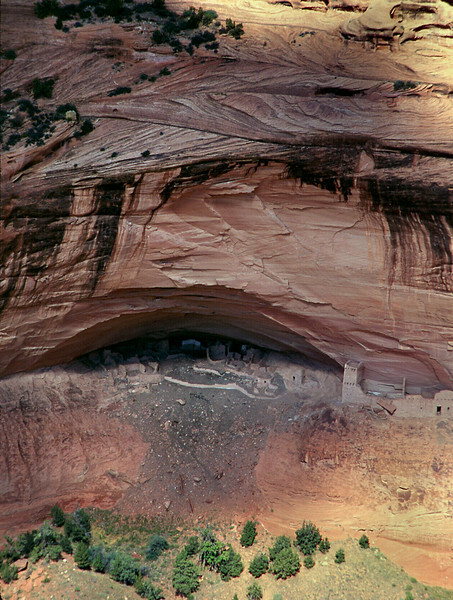 White House Ruin viewed from the rim of Canyon de Chelly, Arizona, October, 2003. 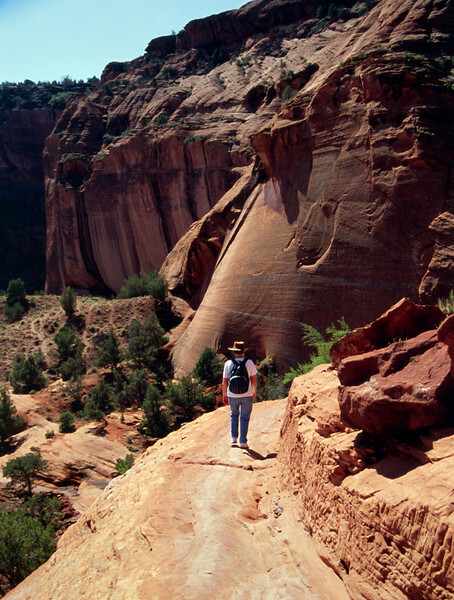 Rita, hiking the White House Ruin Trail, Canyon de Chelly, Arizona. October, 2003. 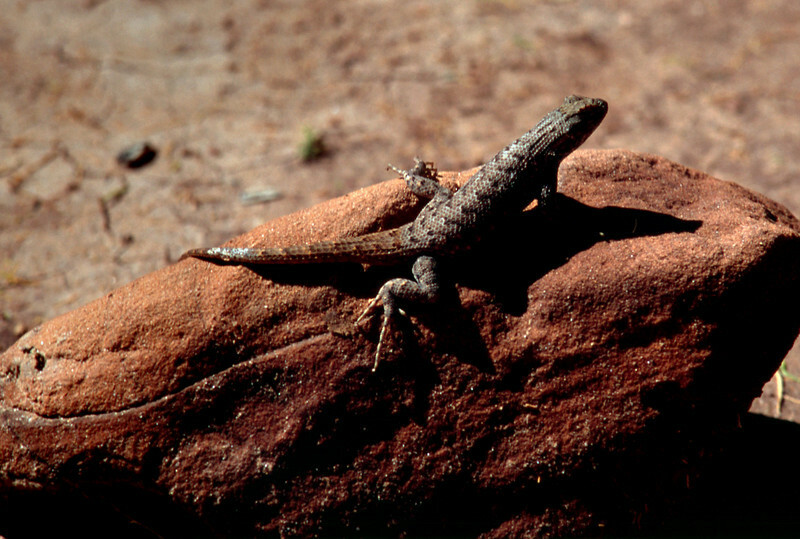 Lizard, White House Ruin Trail, Canyon de Chelly, Arizona. October, 2003. 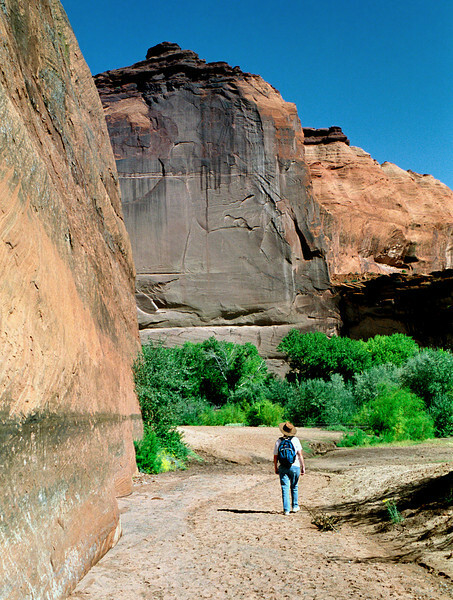 Rita, White House Ruins Trail, Canyon de Chelly, Arizona. October, 2003. 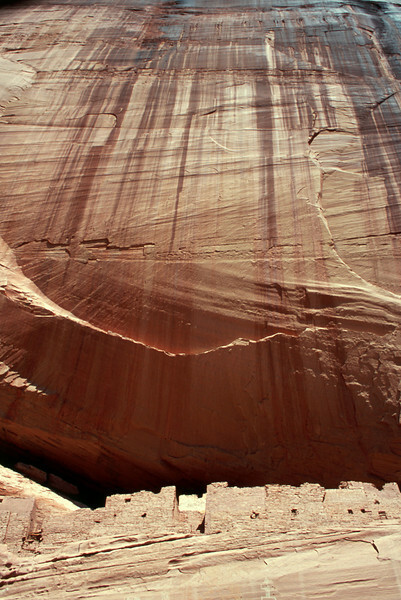 Gary, White House Ruins Trail, Canyon de Chelly, Arizona. October, 2003. 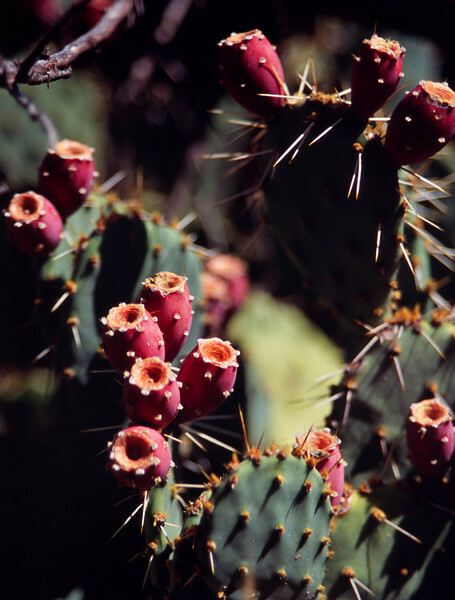 Prickley pear fruit, White House Ruin Trail, Canyon de Chelly, Arizona. October, 2003. 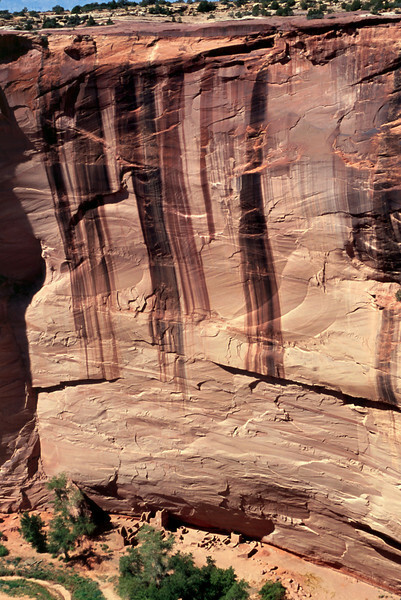 View of cliffs from the canyon floor. White House Ruin trail. 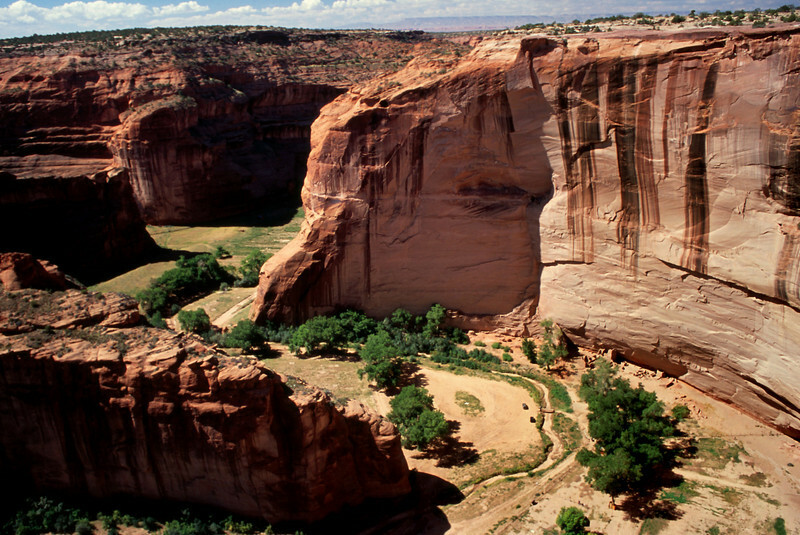 Canyon de Chelly, Arizona. October, 2003. 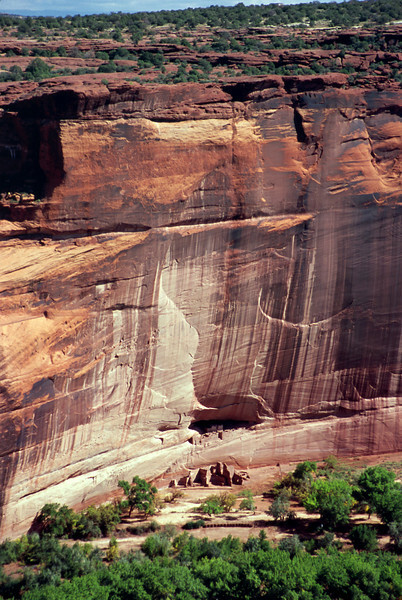 Alcove and massive bluff above White House Ruin, Canyon de Chelly, Arizona. 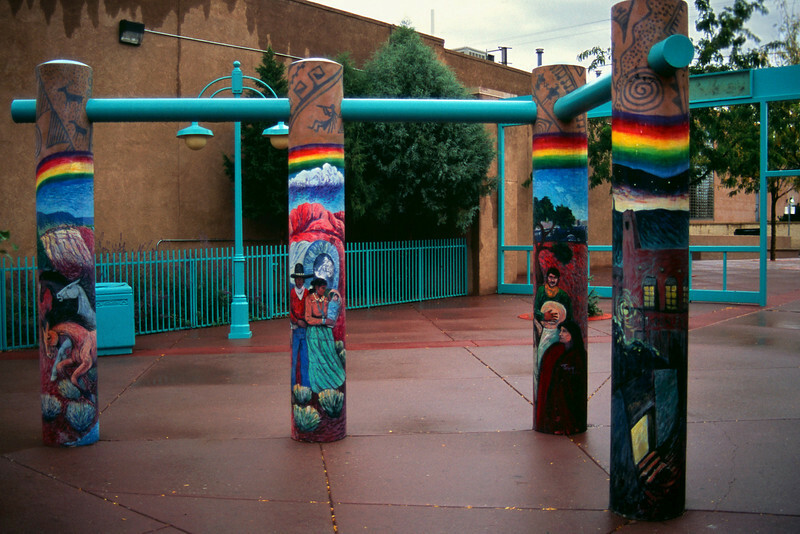 October, 2003. 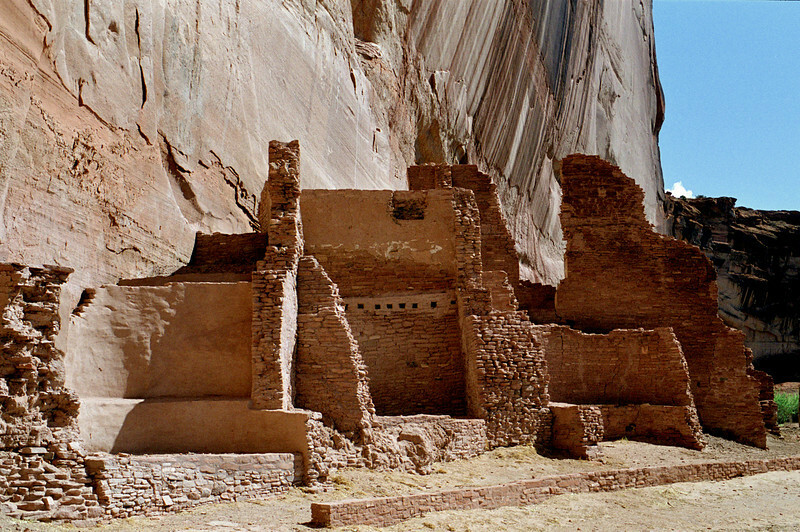 White House Ruin, Canyon de Chelly, Arizona. October, 2003. 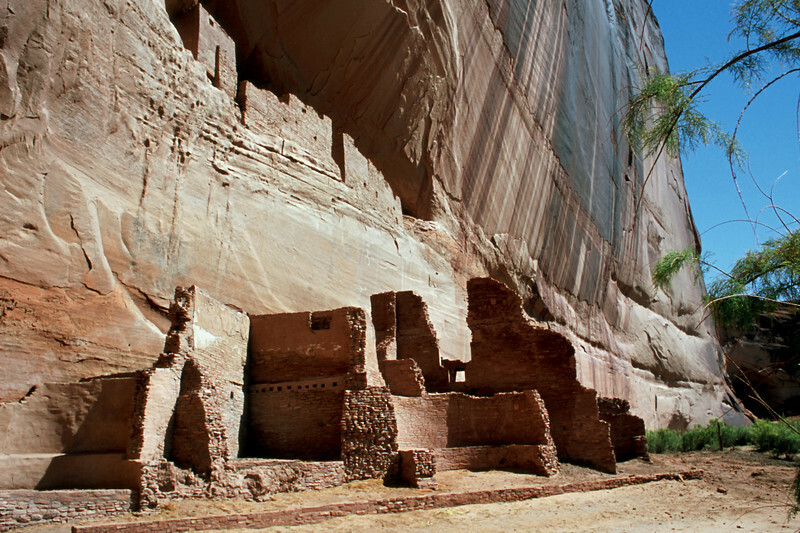 White House Ruins, Canyon de Chelly, Arizona. October, 2003. 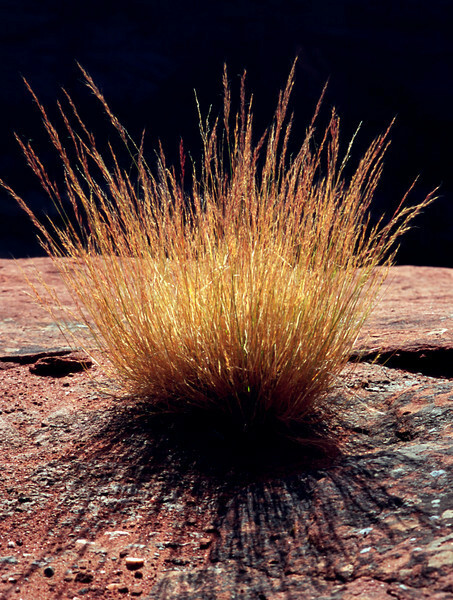 Backlit grass, rim of Canyon de Chelly, Arizona, October, 2003. 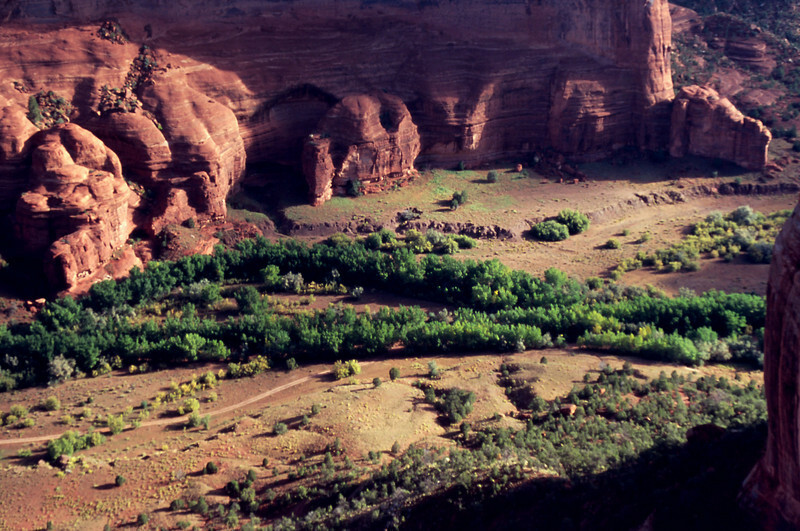 Cardinal flowers, White House Ruin trail, Canyon de Chelly, Arizona. October, 2003. 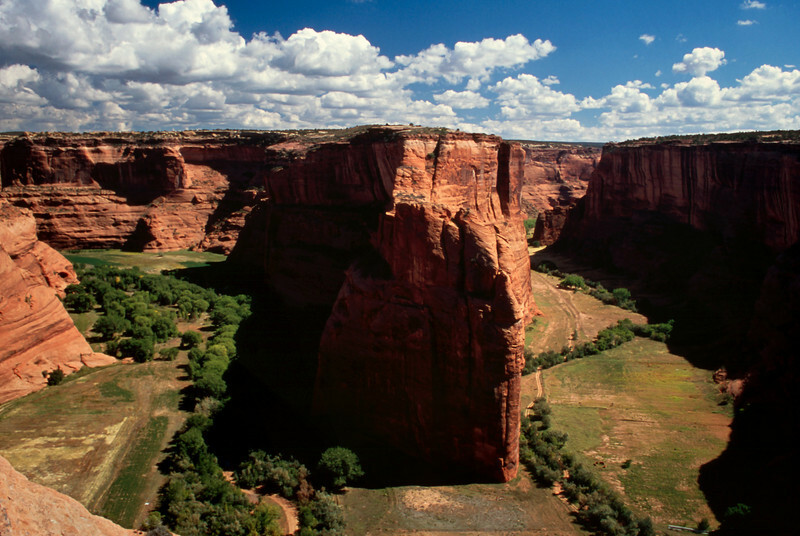 View from rim, Canyon de Chelly, Arizona. 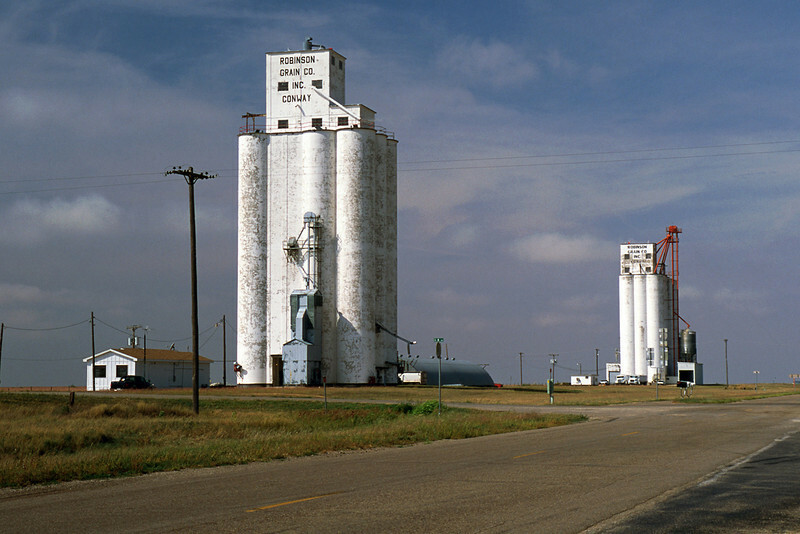 October, 2003. 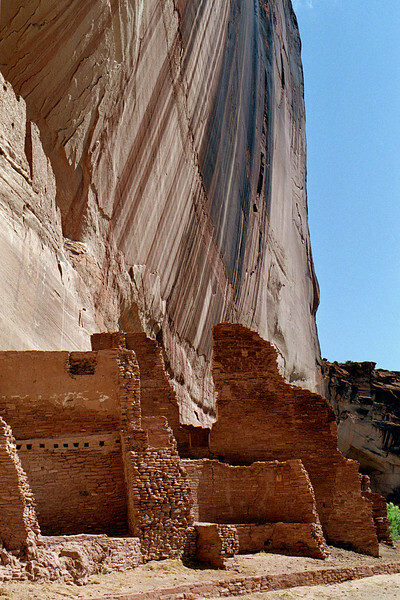 View of Antelope Ruin from rim, Canyon de Chelly, Arizona. October, 2003. 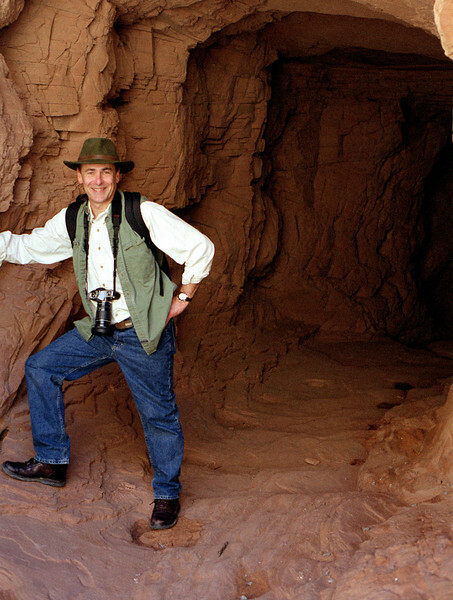 Mummy cave, Canyon de Chelly, October, 2003. 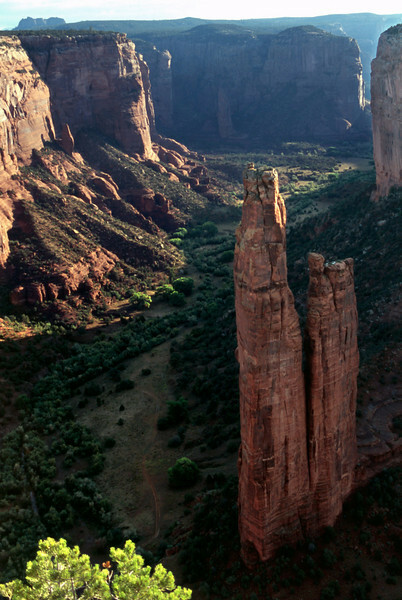 North rim, Canon del Muerto, Canyon de Chelly, Arizona. October, 2003. 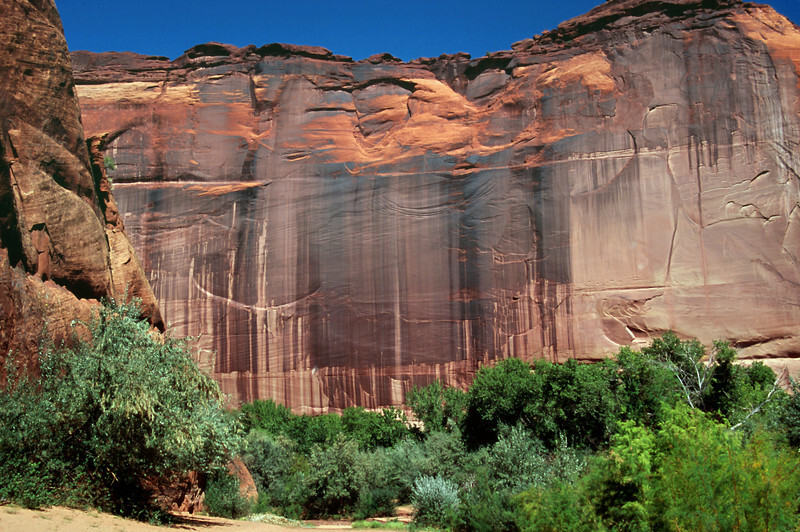 Campground, Canyon de Chelly, Arizona. October, 2003. 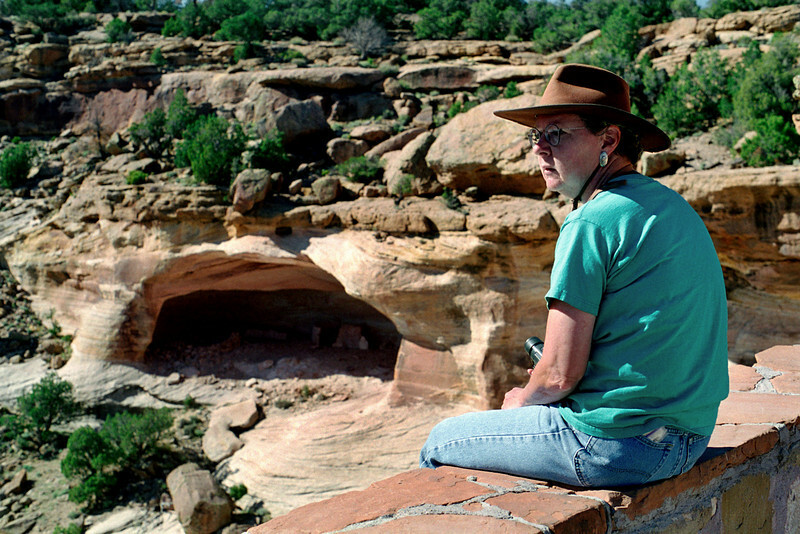 Scott August, Canyon de Chelly campground, Arizona. October, 2003.